Many suggest that the original sloppy joe sandwich was invented at Sloppy Joe's Bar in Key West, Florida, or by a cook named Joe at a cafe in Sioux City, Iowa, as a variation of the popular “loose meat” sandwich (which does not contain tomato sauce). The Town Hall Deli in South Orange claims to have invented the New Jersey sloppy joe in the 1930s. According to the deli's owner, a Maplewood politician named Thomas Sweeney returned from a vacation in Cuba, where he spent time at a bar named Sloppy Joe's, from whick the Key West bar obtained its name. The bar's owner laid out fixings for patrons, who put sandwiched together. Sweeney asked Town Hall to cater his poker games with the same sort of sandwiches, and they caught on. Sloppy Joes Bar, Old Havana, Cuba... Sloppy Joe's was a Havana bar in the 30's. It was a property of Jose Garcia, located in the central corner of Zulueta and Animas Streets. The bar received this name because the place in principle was a mess and the sandwich served there was made of "ropa vieja". 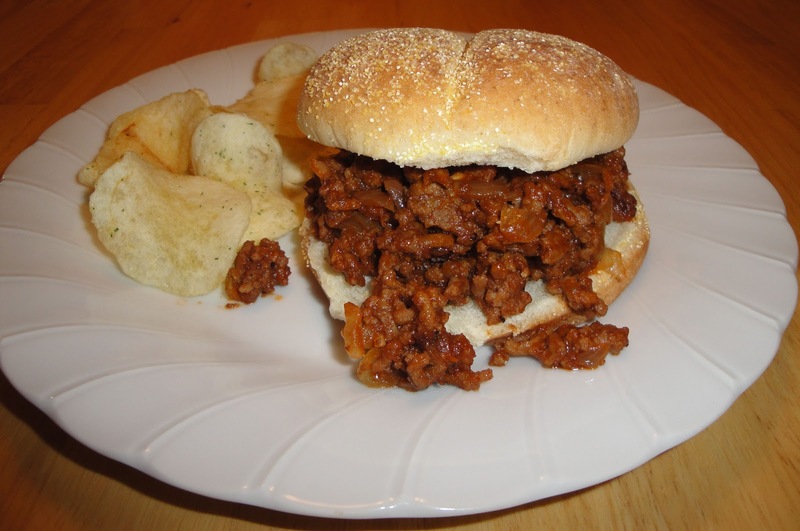 The sandwich was known as Sloppy Joe and it was also served in many variants, in several parts of the world. Jose Garcia arrived in Cuba coming from Spain in the year 1904. He began to work as a barman in a Havana bar located in Galiano and Zanja Streets. He stayed there for three years until he sailed away to the United States heading New Orleans. He also worked in that city as a barman for six years until he moved to Miami where he used to work in different bars during six years. In 1919, Jose Garcia returned to Havana and was employed as a barman at "Greasy Spoon" Café for about six months. He decided to open his own business and bought a grocery store along with a warehouse located in the corner of Zulueta and Animas Streets. Some friends in Havana used to pay a visit to Garcia at his business, seeing the terrible conditions of the place asked him why it was so careless. Being him a Spanish and running such a careless place did not match. From that time on, the name of Sloppy Joe is worldwide known. One of his usual clients was Ernest Hemingway. He visited Jose Garcia in several occasions with his pal, Joe Russell who was the owner of another Sloppy Joe's Bar in Cayo Hueso, a name Hemingway had suggested in honour to Mr. Garcia. The tourists that visited Havana during that epoch, mostly North Americans, preferred two places: Sloppy Joe's Bar, and the beautiful race horse track of Havana controlled by Meyer Lansky's mafia. People who visited Havana during those decades of great splendour had to go to three different places when it was about food and enjoyment: "El Floridita" , "Sloppy Joe's Bar", and "La Bodeguita del Medio", otherwise, they wouldn't have visited Havana city. Sloppy Joe's Bar was on its time a very popular place, not only appreciated for its fine drinks and liquors but also for its connotation of preferential atmosphere of attractive appointments, as well as for having the longest mahogany drinks cabinet of Cuba, and perhaps of the whole world. This bar had a great splendour in the 30's and 40's, and it was visited frequently by many Hollywood celebrities and international bohemian characters. Among the most illustrious Sloppy Joe's Bar visitors were Ramon Jacinto Herrera "Ray Tico", John Wayne, Spencer Tracy, Clark Gable, Ignacio Jacinto Villa y Fernandez "Bola de Nieves", Mario Moreno "Cantinflas", Jose Antonio Mendez "The King", and many other personalities of the time. In 1959, after the triumph the Cuban revolution, the mythical Sloppy Joe' s Bar was closed and abandoned together with its history. The new Hotel Parque Central Torre, plan to open in early 2008. Hotel Parque Central Torre is a 5 star hotel. In a skillet, add oil and heat over medium heat. Add ground beef, breaking meat up as it cooks. When meat browns, add onions, worcestershire sauce, liquid smoke, tomato sauce, sugar and steak seasoning. Stir well. Spoon meat onto buns. Enjoy! Great recipe, Christine! I haven't had a sloppy joe in years but I do love them! This is interesting in the extreme. Truly. And I love you and I adore your blog. But if I invented the sloppy joe I wouldn't be braggin' about it. Ha. One of my very meals! Great history. I've been to the Sloppy Joe's Bar in Key West several times. During peak tourist season - it's crazy crowded and hard to enjoy. But off season - I see why E. Hemingway enjoyed it so much - it's delightful! Nice that you have brought back an old favorite here! Will need to have these soon-thanks for sharing. Every time I see sloppy Joes I think of Billy Madison... and I have to laugh out loud. But to be honest I absolutely love sloppy joes! There is just something about them. I look forward to trying your version. Thanks for sharing. Have you seen the new movie, Midnight in Paris, yet? Hemingway's character's in it! Great recipe for a busy back-to-school week, thanks! Oh, yum....I haven't had these for years! If you try this, let me know how it comes out. No, I have not seen the new movie, Midnight in Paris. Did you enjoy the movie? I haven't made these in forever. Now I would use ground turkey to be a little healthier. the sauce would be the same however. Love the history behind the sandwich. This is fabulous. Love sloppy joes. So much fun to eat. Ground turkey would be good. I recently learned about this dish actually from a food blogger and until then I actually didn't know about this dish... Looks delicious and I'd love to trying/cooking this one day. I enjoyed reading about how the name came from because I was curious about that too! My mom used to make these when I was a kid. Didn't know how much I missed them till read your post! Defintely going to try this. I love Sloppy Joes and will try your recipe. Have a nice day and thanks for sharing!